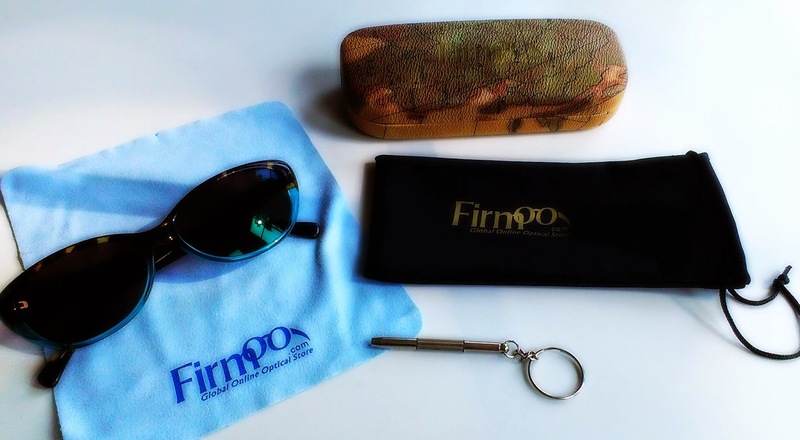 Firmoo Sunglasses Review & GiVeAwAy!!!! Hello Friends! I hope you are having a wonderful Wednesday! I am back with a review and another giveaway! The lovely people over at firmoo.com contacted me to try out some of their glasses to see what I thought about them. You can check out all my thoughts in the video and below you will find more pictures and information along with the entry form! As I said in the video, my eyes are pretty healthy and I am blessed for that. My husband and son wears glasses but I don't. I was kinda hesistant to do this sponsored review because of that. Once I let the very nice lady know that, and suggested I try out some sunglasses maybe, she was quick to help. 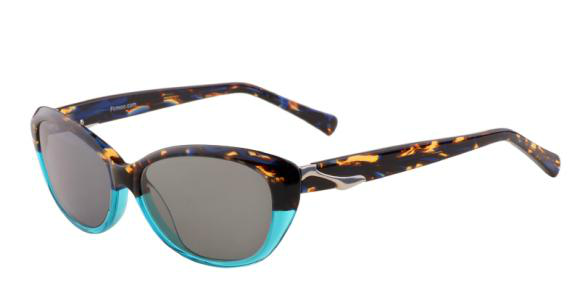 I went with the Women's full frame acetate sunglasses in Blue,Tortoise. I really liked how the bottom of the frame had that beautiful blue color. I was a little nervous because with this company, you order your glasses without trying them on of course. But there was a solution...on their webiste you can simply upload a front facing photo and see how the glasses would look on yourself. I wasn't so sure how this would work out but tried it. They looked fine but still I had to wait until they came in so I could really see. Customer Service was really nice. They were super helpful in picking me out a pair that would work great for me. The lens are custom.. you can pick your tint along with other options then they are made. The turn around time from placing my order to receiving my glasses was less than 1 week. God knows I love that because who likes waiting on packages in the mail!? Here's how they came and what they came with. The glasses came in a worldly kind of eye glass container that held the glasses that were covered with the firmoo cleaning cloth. 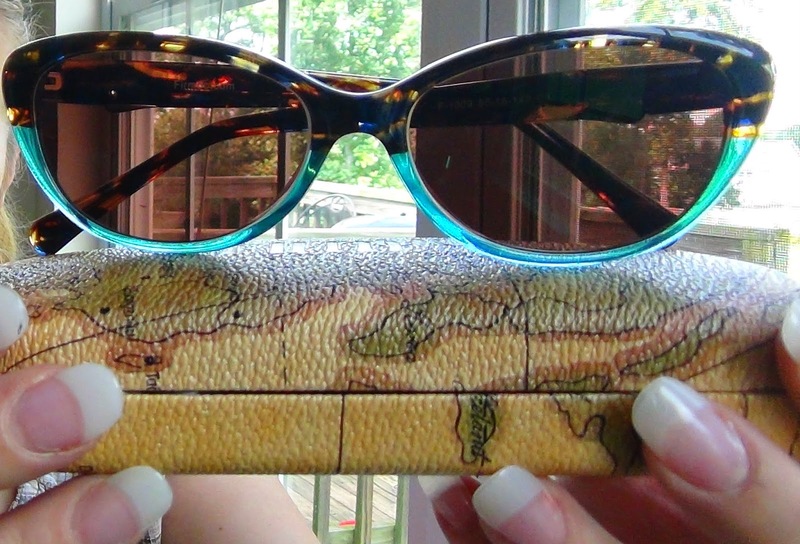 It also came with a soft side eye glass case along with a little screwdriver. I really liked that they sent 2 different cases. Everything came packed nice and neatly which shows they take pride in their products. These glasses are very well made. They are not flimsy and wobbly. Instead they are a little heavier but not so heavy they are uncomfortable. You can just tell they are very well made and very comfortable to wear. I love being able to shop from home but I normally don't do that with glasses. I was a bit nervous about how they would turn out and how well they would fit but I was shocked at how easy it was to find a pair and on their website and how easy it was to place the order. I had a few questions along the way and customer service was nothing but helpful. I really do recommend this company. I think the prices are so reasonable, the quality of the glasses is super nice, and customer service is amazing Also they have a Renewed First Pair Free Program that all you have to pay for is the lens and shipping but the frames are free. Another great program that is very easy to use to help save you even more money. If you do wear prescription glasses, you will need to have to get your eyes checked to get your prescription but you don't have to buy over priced frames. Instead, take you prescription and go right to the website to order! I also think this would be great for kid replacement glasses. You could buy a pair just to put up for those emergencies that pop up time to time. Over all, I am so pleased with the glasses and website. Since I love the glasses and firmoo is a awesome company, they are sponsoring a giveaway!! 5 of you guys.. I repeat 5 of you will win a $30 gift certificate for any glasses on this page. The giveaway will go on until Wednesday August 20. I will announce the winners on my youtube channel and also on here Thursday August 21. Its very simple to get entered.. just use the form below!! GOOD LUCK! Thanks for entering! Let me know if you have any questions!